My Facebook FanPage Stolen by Scammer pretending to lease my Facebook Page for big money. The fraudster pretended to be from Facebook Instant Article and using Facebook Business Manager to acquire ownership to my page with 160k likes and fans. It was a quick and easy scam. NO admin access to my page was ever offered! Yet, Facebook Business Manager took control of my page and I can’t do anything to remove them afterwards. Now my page is stolen and Facebook is seriously no Help! See video! I played with fire and got burned! If you got your page stolen, here’re some suggestions. 1) Quickly remove your page from FB business manager if still possible. This is the very best possibility to get your page back. 3) Report your own page to facebook by sending out in feedback report. 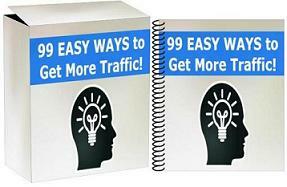 FREE WSO: Take Action to Success System FREE WSO: [TeeSpring Warrior Guide] FREE Guide: Essential Tools and Niche Marketing Strategies Get [FREE WSO] 2017-2018 Content Marketing Success Guide!